Baahubali: The Beginning and Baahubali: The Conclusion are the two biggest movies in Indian Film Industry. Both the movies have created new records with the box office collections. The great director SS Rajamouli directed the films and his vision of a film had taken the Indian films to the International standards. Prabhas, Rana Daggubati, Anushka, Tamannaah, Ramya Krishna, Satyaraj, and Nazar played the main roles in the movies. Baahubali’s tale is set in the kingdom of Mahishmati, which contrary to popular notion, is not entirely fictional. Mahishmati lies at the core of both Baahubali movies as Baahubali was the king of Mahishmati. After the grandeur depicted in the movie, everyone wants to know more about Mahishmati. Well, you will be delighted to know that indeed a city named Mahishmati existed in ancient India (The kingdom depicted in the movie is totally fictional though). Must Read: 10 Surprising Facts About South Beauty Anushka Shetty Who Played The Role Of “Devasena” In Baahubali 2! Mahishmati was an ancient city located in central India. It is mentioned in several ancient texts and may have flourished as late as until 13th century, as indicated by a Paramara inscription. Mahishmati was the most important city in the southern part of the Avanti Kingdom and later served as the capital of the Anupa Kingdom. Where is the Mahishmati Kingdom Located? 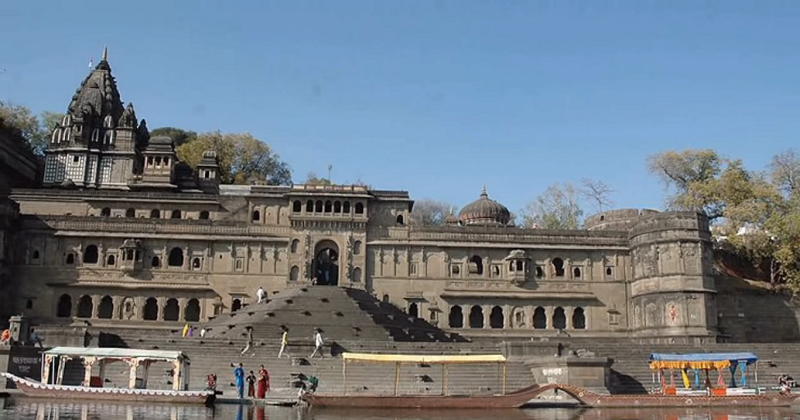 Mahishmati was located in present-day Madhya Pradesh, on the banks of Narmada River, although its exact location is uncertain. 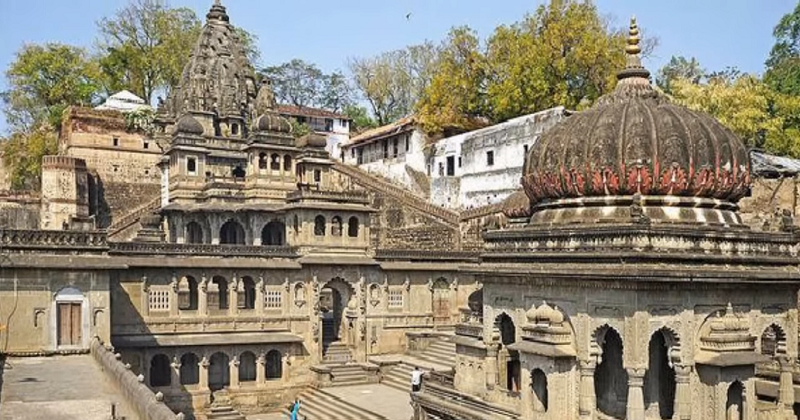 Ujjain was the capital of the northern part of the Avanti Kingdom and Mahishmati was the capital of the southwest of Avanti Kingdom. According to the history and epic books, there is the Mahishmati Kingdom. Mahishmati had the forests and waterfalls. 1. There was also a claim that ‘Haihayahs’ named five tribes ruled the Mahishmati kingdom. In the book ‘Historical Geography of Madhya Pradesh from Early Records’ by P K Bhattacharya, it is also said that there is a possibility that Karthaveeryarjuna who ruled from Mahishmati may be the King of Haihayahs. 2. ‘Hariwansh’ written in the Sanskrit language also says that there was a kingdom named the Mahishmati Rajya in history. According to the book, Mahishmati is a descendant of the King Mahishmati – a descendant from the Yadu. 3. There is another argument that the ‘Muchukunda’ Mahishmith was one of the creators of the Mahishmati kingdom. 4. The city of Mahishmati is also mentioned in the book ‘Raghuvansha’. Raghuvamsha tells us that the Mahishmithi area was also called as ‘Anupa’. 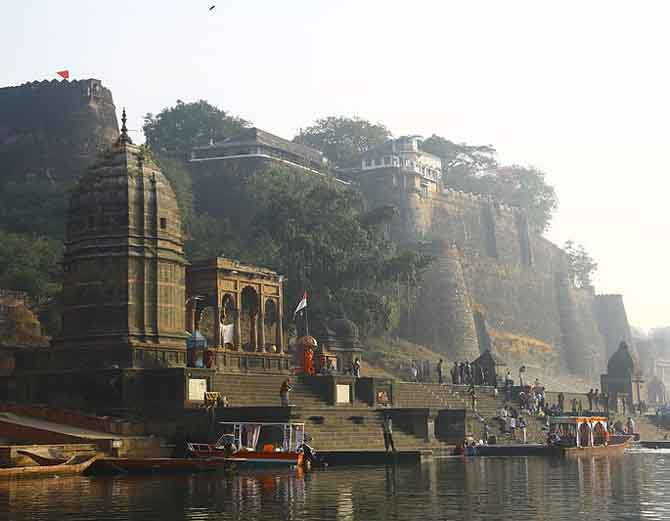 According to the ‘Hariwansh’ and ‘Raghuvanshi’ literature, the city of Mahishmati is not close to the Narmada River and that it was located near the Rewa River in the highlands. Using these records as well as other historical documents and the accounts of Patanjali, the author argues that Mahishmati was located such that it took only a night to travel between the city and Ujjayini. Readers and history buffs are likely to know Mahishmati from legends and tales in the great Indian epics. Also Read: The Hidden Meanings Behind The Bindis, Tattoos, and Logos Used By Characters Of Baahubali! The city of Mahishmati is also in the Mahabharata. Before the Pandavas came to power, Nila named king ruled Mahishmati kingdom. Nila king’s daughter loves the fire god (Agni Deva). But the fire god tried to attack Kingdom Mahishmati as Nila arranged marriage with his daughter. After that the king of fire became the protector for Mahishmati, the Pandava king Yudhisthira attacked Mahishmati kingdom and the fire of God became the driver for Yudhisthira’s vehicle in war. This is also the place in the ‘Vishnu Purana’ about Maheshmati. According to the Vishnu Purana, Ravana, the king of Lanka attacked Mahishmati during the reign of Kartavirya Arjuna. However, the chief antagonist of Ramayana lost the battle and was captured by Kartavirya. PN Bose’s notes from the Proceedings of the Indian History Congress records this tale, along with other anecdotes about Kartavirya. These multiple tales and the lack of historical and archaeological evidence have led to conflicting subjects on the origins of Mahishmati. 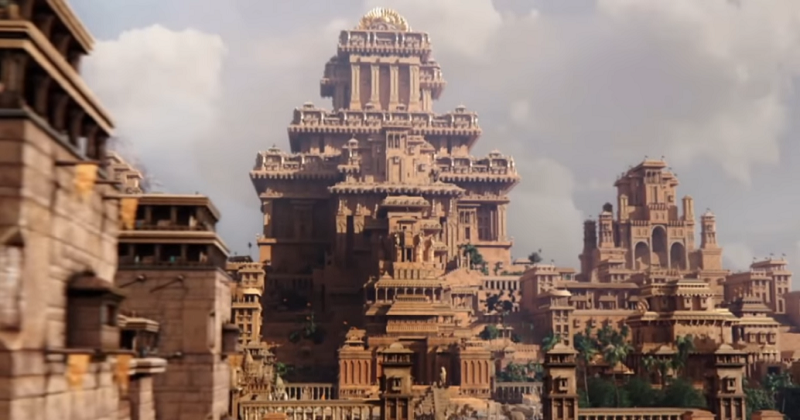 Though the makers of the Baahubali movie have taken an imaginary route in their choice of Mahishmati as the setting for their epic, one wonders if the historical city matched up, or perhaps surpassed, to the grandeur of the extravagant movie sets. 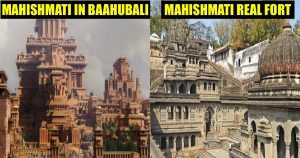 There is no information about Baahubali movie’s Mahishmati kingdom either inspired by Ancient Mahishmati or not. But Vijayendra Prasad made history with Mahishmati named Kingdom.